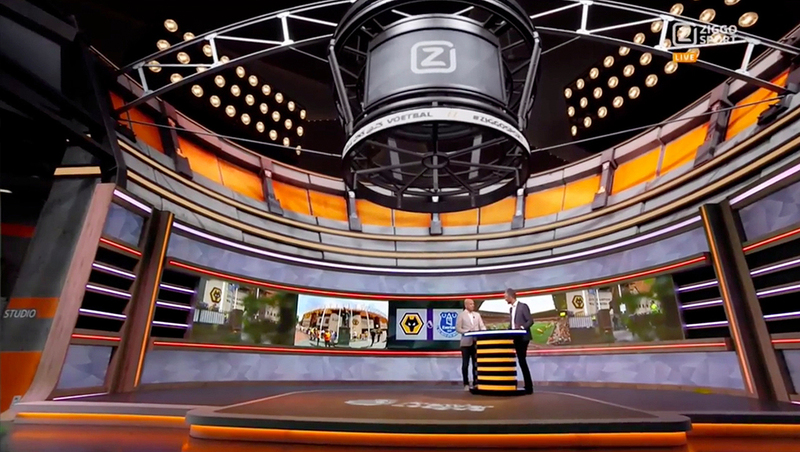 Ziggo Sport, a sports television channel in the Netherlands, opted to use a virtual set for its Premier League coverage this season. The set, which has been dubbed the “arena,” is powered by Zero Density’s Reality graphics solutions with rendering through Unreal Engine. The virtual 3D space includes a long, cavernous “concourse” lined with bold, thick black pillars and staircases that are showcased in dramatic push-ins. During these shots, team logos can be inserted floating in the 3D space, giving the virtual set an augmented reality component as well. At the far end of the hallway, a virtual curved wall and video panels are mixed with a real standup pod for talent. The dramatic curved header elements, along with the suspended circular virtual screens and video ribbons — along with the open concourse — make it clear where the “arena” moniker came from. Dramatic angles are used in this area to give the sense that set elements are sloping in various angles, much like the seating tiers and other parts of a real stadium do. The design also emphasizes stacked layers — another visual tie into the tiered nature of arenas. 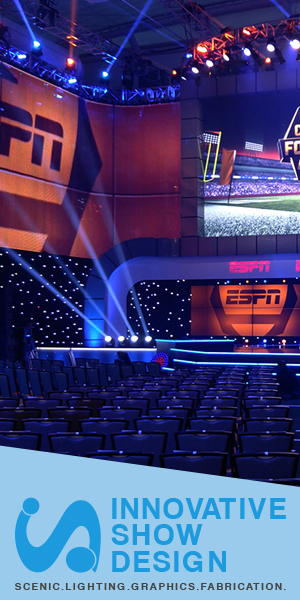 Meanwhile, the curved “video wall” in this area gives the channel additional flexibility in creating topical and dynamic backgrounds. 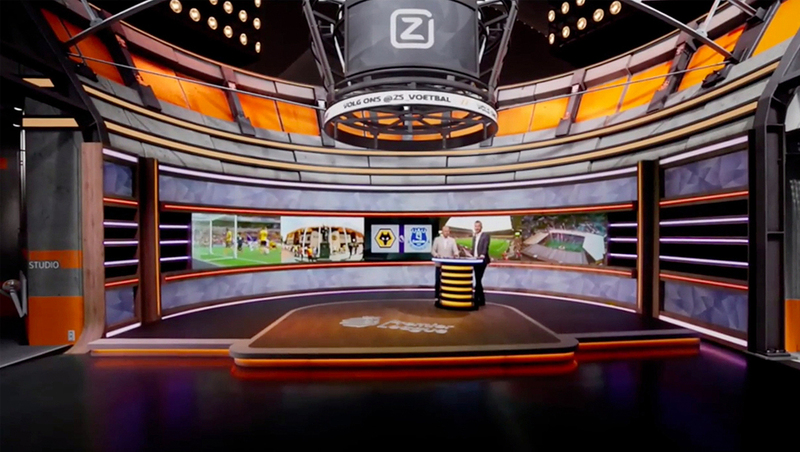 The coverage is produced by NEP The Netherlands for Ziggo Sport and NEP The Netherlands’ Natalia Khokhlova and Rosa van Wouwe designed the virtual set.